Branding is an extremely important part of business in any market today. This importance is often underestimated by eCommerce businesses, and this neglect is more detrimental than you may think. Without a success-oriented branding strategy, your business can never hope to grow into a significant player in the industry. Consider these 5 ways to start branding your eCommerce business and get started today if you want to be remembered. Any good eCommerce business needs to be recognizable, and the best way to build and maintain recognition is to create a memorable logo. Creating a logo is not easy, of course, and you may need to enlist the help of a professional designer. This is an investment that will pay off down the road. An image that is synonymous with your company’s niche and services is one of your most important assets in the branding process. Maintaining communication with your customer base is extremely important in branding for eCommerce businesses. Email has revolutionized the way businesses can keep in touch with their customers, and it is vital that you take advantage of this in your ventures. Start a mailing list and offer all your customers the option of subscribing. This encourages repeat business and helps you clients stay up to date on business developments and new offers. Cultivating a community of customers is one of the best things you can do to build your brand. Many eCommerce businesses make the mistake of changing too much, too often. While your business needs to adapt to suit the customer’s needs, too many changes are bad for your brand. When you find something that works, stick with it. You may find it necessary to tweak certain things as time goes on, but avoid the pitfall of constantly overhauling. Every time your business reinvents itself, your branding has to start over from square one. Stay consistent, and you’ll find it much easier to build your brand. Consider this important question: What is your company setting out to do? Every business needs a mission. This is not the same as setting goals. You may have a goal for the year, or quarter, or some other time frame, but your mission is the driving force behind your business that never goes away. Defining your mission gives your eCommerce business focus, and dedication to that mission builds your brand. Decide on a mission for your eCommerce business, share this vision with your customers, and constantly work toward its fulfillment. What kind of image do you want for your company? Image is more important that many business owners realize–customers identify with the companies they choose on several levels. 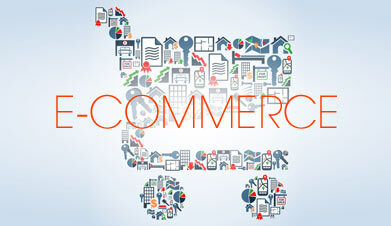 If your eCommerce shopping cart lacks a definite image, your business becomes forgettable. The last thing you want is to be forgotten, so think about an image for your business that will be attractive to your customers and build your business around that image.